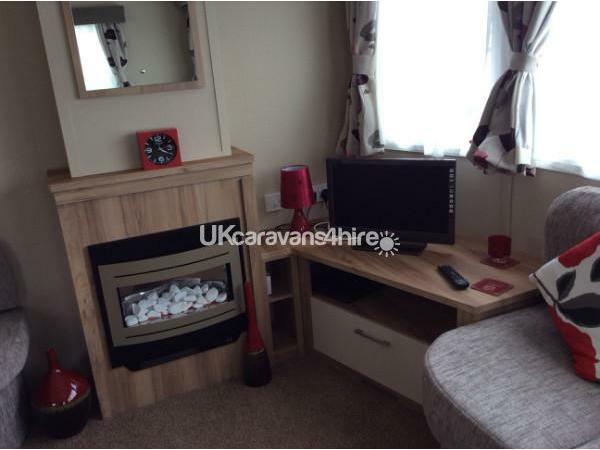 A non refundable deposit of £50 per week is required at time of booking. Payment can be made by cheque or bank transfer. Full payment must be made six weeks before your holiday starts. I will try to reply to you enquiry as quickly as possible, but am sometimes working days nights or evenings. If you include a contact number I will get back to you as soon as I can. I offer 3 and 4 night breaks during off peak weeks. Please enquire for details. 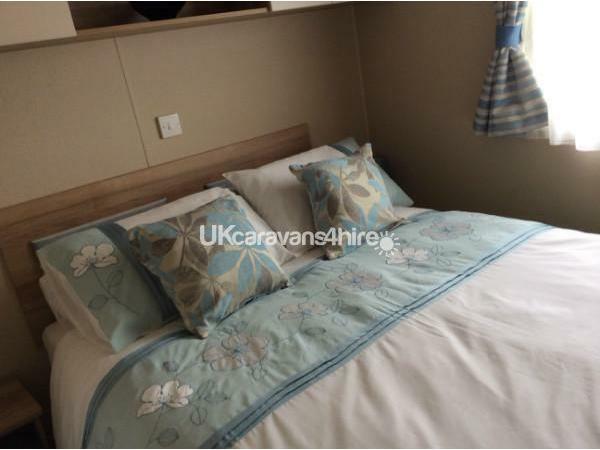 Our caravan for hire is situated on Looe Bay Holiday Park. 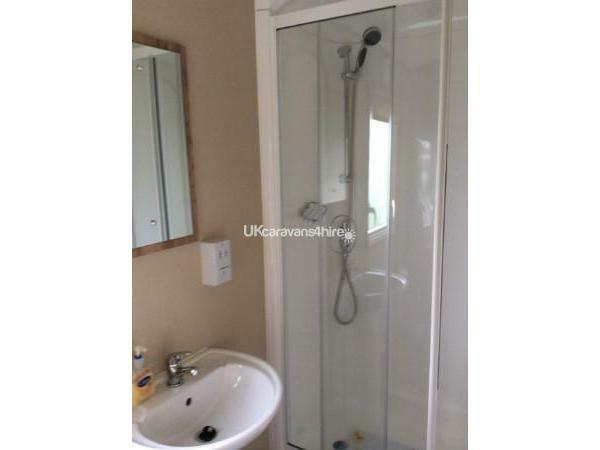 The site has great facilities including an indoor pool and nightly entertainment. The town of Looe is just short drive away with all its shops, restaurants, pubs and it's famous fishing harbour where the children can try to catch crabs on a line. Even closer to the park is Milendreath beach great for walking on and for children to play in rock pools . If you don't want to drive, buses outside the park will take yo to Looe, The lovely fishing village of Polperro or to Plymouth, full of history and places to shop. Looe Bay holiday park is operated by Park Dean and is maintained to a great standard. Should you wish to travel a little further afield there are some lovely Cornish villages to visit. Port Issac home of Doc Martin and Tintagel castle birth place of the Legend of King Arthur are easily reached by car. The surfing beaches of Fistral and Newquay are easily enjoyed on a day trip out. 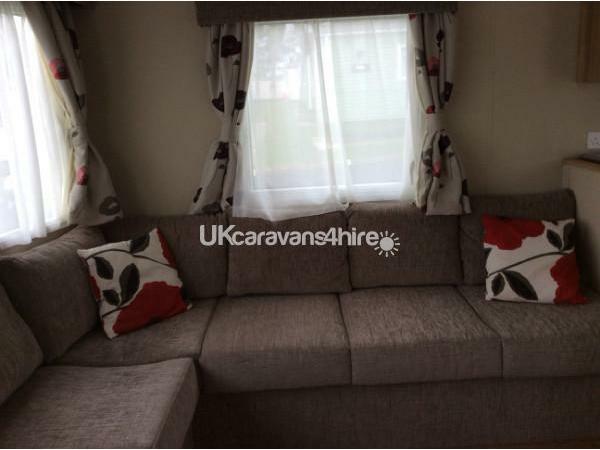 Our caravan was purchased from new in May 2014 and is of a high standard. We provide all bedding and the beds will be made up for your arrival. Tea towels are provided but not bath or beach towels. Comfy throws will make sure you are cosy whatever the Britiish weather decides to do. There are some books, DVDs , puzzles and activity books to keep adults and children entertained. Outside there is a double bench that can be easily moved to face the sun or shade and there two fold up chairs stored inside. 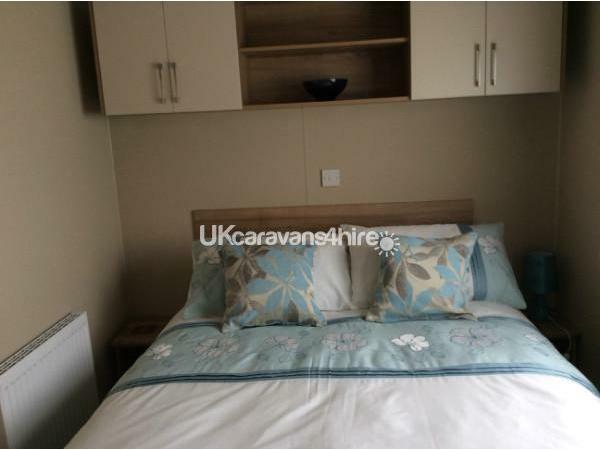 The caravan is located on the end of a row beside the parking bay and is a short walk to the facilities and entertainment. Entertainment passes can be purchased at reception for £5:00 per person per week. Customers are asked to vacate he van by 10:00am on the last day. Checkin is at 15:00. 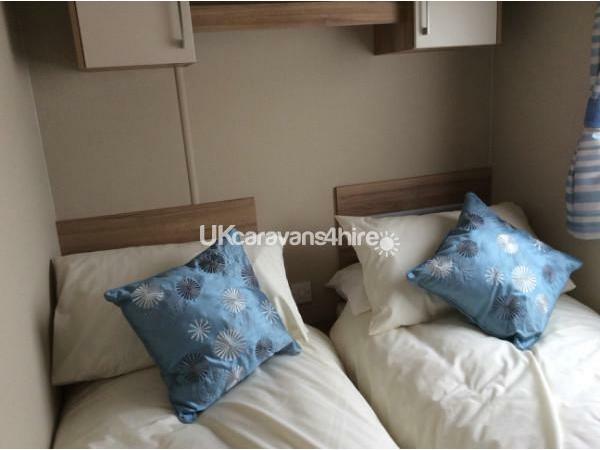 To book the caravan we will require a deposit of £50. Thank you for this lovely review Alan. It was a pleasure to have you and only sorry that Joan had the accident. We look forward to seeing you and Joan next year. I’ve already bought the bubble wrap. Just back home after staying for 2 weeks in this lovely, comfortable caravan. 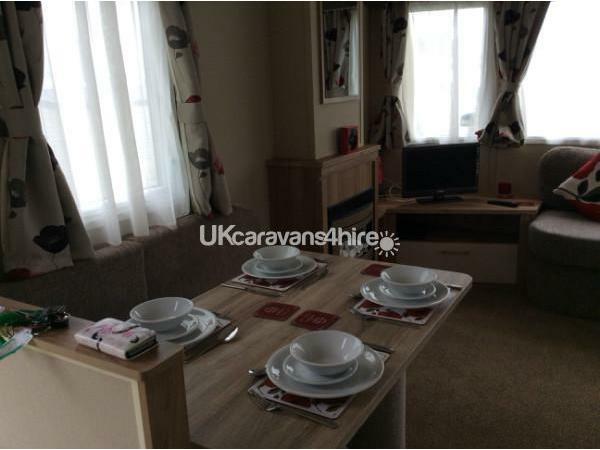 Everything needed was catered for, but it's the personal, homely touch we really appreciated. My girls loved that Carole and Ken have games to play with and dvd's to watch. The cream tea was perfect after a long journey and Carole had even asked what bedding theme the girls would like - the Peppa Pig bedding was a huge hit with my youngest! Already re-booked for next year and we can't wait. 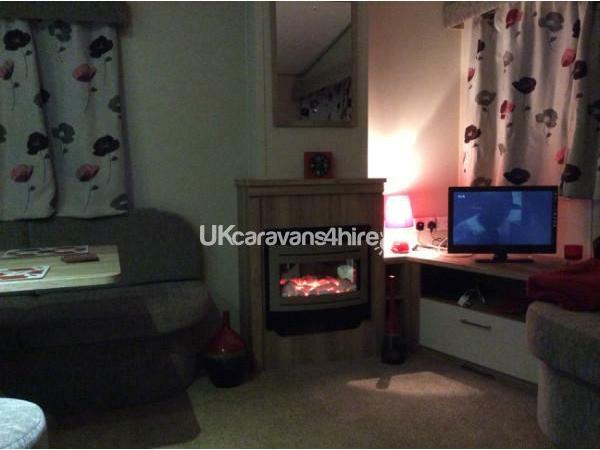 Great caravan and holiday park. Thank you! Wow, what a lovely family holiday we had at this Caravan. The caravan was spotless and looked like a show caravan. The personal touches and activities left for the kiddies made this feel like a home. The facilities were great on park and the surrounding area just stunning. The owners Carole and Ken were there to meet us and left our children some lovely gifts. They are truly lovely people and the caravan is exceptional. Needless to say, on our last day we decided to book for next year. THIS TIME FOR 2 WEEKS!! Thank you Sean it was lovely to meet you all and look forward to seeing you again in August. 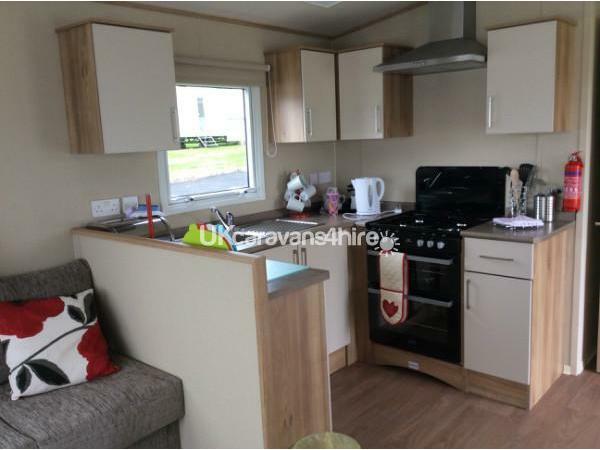 Had a great holiday with my wife daughter son-in-law and 2 grandchildren Bethany & Thomas,the Caravan was lovely and comfortable made you feel like home from home, the cream tea made up on the table after a long drive when you first get there was delicious. Park facilities are brilliant. Easy to get to. Looe town is just beautiful. There is plenty to do on the park. And lots more to see in the surrounding area. Will defiantly recommend this to family and friends. Thank you Carole. First class holiday!